At Redwood also lives Mayor Toro, a high school sophomore whose family arrived from Panamà fifteen years ago. Mayor sees in Maribel something others do not: that beyond her lovely face, and beneath the damage she's sustained, is a gentle, funny, and wise spirit. But as the two grow closer, violence casts a shadow over all their futures in America. If you’ve ever been curious about how the other half of America lives- the immigrants and the undocumented and those who would never even imagine having enough money to spend any on buying books to read for pleasure- then this powerful piece of fiction is a great place to start. This book is for readers that enjoy character studies and learning about other cultures and socioeconomic classes. What I had first thought was going to take a very sociological and subjective approach, ended up taking a very poignant and objective look at the lives of American immigrants from multiple Central and South American backgrounds. Despite what’s being examined in this book, it reads like a lyrical page-turner. The author’s writing is vivid and beautiful and cuts to the quick. The thread that connects all of the lives examined in this story creates a seamless and emotive narrative that relates what it’s like to fall in the kind of love that’s outside of the pop-culture idea of love, and what it’s like to be an outsider in America on top of that. I was born in Patzcuaro, Michoacan, Mexico. I lived there all my life until I came here. Other people from our town had gone north. Most of them left because they wanted a better life. That’s what they said. A better life. But it wasn’t like that for us. We had a good life, a beautiful life. We lived in a house that I built. We married in the town square when Alma and I were young, when people told us we didn’t know anything yet about the world. But we knew. Because the world to us was each other. And then we had Maribel. And our world grew larger. We came here for her. The characters are beautifully realized and capture the essence of what it is to be a human trying to navigate this world without the proverbial life-jacket of financial security and favor. The love story that blossoms between the two teenage characters was utterly different and refreshing. Their story is definitely a tearjerker. I couldn’t put this book down. I practically read it in one sitting. It’s for those of you who need a therapeutic cry every now and then, or those of you who want something completely different than what you’ve been reading in the Adult and Young Adult mainstream. 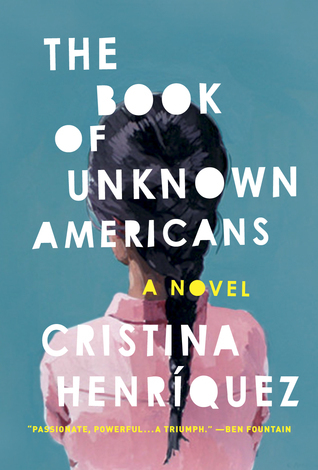 The Book of Unknown Americans will make you obsess over the incredibly talented Cristina Henriquez, and make you anxiously await her next novel. Her stories have been published in The New Yorker, The Atlantic, Glimmer Train, The American Scholar, Ploughshares, TriQuarterly, and AGNI along with the anthology This is Not Chick Lit: Original Stories by America’ s Best Women Writers. Cristina’ s non-fiction has appeared in The New Yorker, The Oxford American, and Preservation as well as in the anthologies State by State: A Panoramic Portrait of America and Thirty Ways of Looking at Hillary: Women Writers Reflect on the Candidate and What Her Campaign Meant. 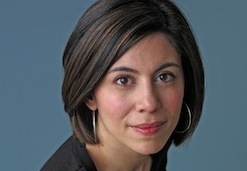 She was featured in Virginia Quarterly Review as one of “Fiction’ s New Luminaries,” has been a guest on National Public Radio, and is a recipient of the Alfredo Cisneros Del Moral Foundation Award, a grant started by Sandra Cisneros in honor of her father.